Water Flow Productions, Inc. is family owned and operated business. Since the opening in 1995, the business has grown into a full service irrigation, landscaping and garden center. The mission of Water Flow Productions is to be a one stop center for all garden and landscaping needs. Water Flow Productions is a complete design/build firm, working with clients from the conceptual stage through implementation, and even providing the necessary maintenance to keep the landscape beautiful and inviting. Our team of designers will create an exciting look for a new landscape or restore and upgrade an existing one. We can include a deck or build a gazebo. 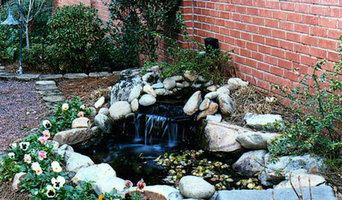 Your needs may include a fountain or installing a pond. Patios enhance any outdoor setting or you may want to rejuvenate an entrance or walkway with concrete, stone or the simplicity of a gavel path outlined in stone or brick. We have a wide range of talent and craftsmen available to complete your landscape needs. 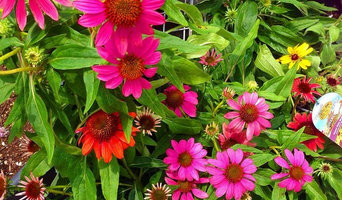 At Urban Roots Garden Center, plants and gardening supplies are what we do. As we embark on our first year in the garden center business, we invite you to visit us and discover our remarkable selection of quality plants, experience our superior customer service, and learn new ways of responsible gardening. Remember, we don't inherit the earth from our parents, but rather borrow it from our kids! We create authentic, detailed castings of 17th, 18th, and 19th century pieces with beautiful aged finishes and exquisite detail in our New Orleans warehouse, just steps from the St. Charles Avenue streetcar line. We are able to offer these high quality castings for record wholesale prices because we've made our own molds using a selection of rare antique pieces we've discovered over years in the antique business. We also offer a wholesale collection of select imported antiques, authentic reproductions, and consignment items. Our beautiful fountains and garden elements can be seen in homes and businesses across the U.S. Let us design the perfect fountain or exterior living room for you! Acadian Tree and Stump Services, LLC firm offer the affordable and reliable tree removal, tree trimming and stump grinding services in Mandeville, Slidell, Madisonville, Covington and the nearby area. Tree removal should only be performed by companies that are fully insured as well as experience with difficult tree removals. Our team professionals from the firm use the latest tools which are used to cut the trees instead of cutting down in one go.Our professionals can provide fast tree removal services at an affordable price. We provide services like:- • Stump Grinding / Stump Removal • Hazardous Tree Removal • Tree Trimming & Pruning • Preventive Tree Care • Lot & Landing Clearing • Bobcat Services • Debris Removal & Hauling • Storm & Emergency Services Call Now: (985) 285-9827 or you can visit site to know more. Gulf South Pine Straw is a premier producer and seller of quality pine straw since 2016. 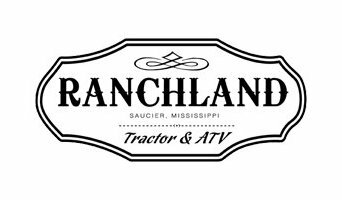 Ever since we started farming and selling pine straw, we have made a name as the best in Mississippi and the Southeastern states. Our customers love us for our superior quality pine needle products, professional service, and on time delivery. We always do our best to provide professional products and service to our customers. The pine straw for sale is always fresh and suitable for all manner of landscaping needs. Since customer service is our number one goal, we make sure that we have professionally trained employees to handle any queries you may have. Our employees have years of experience in farming, selling, buying and shipping pine straw mulch. With their certifications in Environmental management and environmental science and experience in the forest/wood and forestry industries, they will be of great help in offering advice on how to apply the mulch in the best way for the health of the landscape on which it is used. As a small company that was started only a few years ago, we pay a lot of attention to detail and ensure we do everything right. We guarantee that we are on time with our freight, hauling and transport services so that you get your pine straw delivery on time. The straw is delivered in well maintained and dry closed door trailers so that it arrives in pristine condition. We manage to deliver the product in time and such good condition since we always have our freight dispatch operatives on call to provide custom delivery services and customer service if needed. We strive to deliver all pine straw orders made between 9 am and 5 pm so that you can have it and begin working on your landscaping as soon as possible. Sand’N Soil™ is committed to be the leader in online sales and delivery of bulk landscape and construction materials. Our staff and development team works hard to exceed your online shopping experience by adding new features, new products and always giving you the best price on sand, soil, mulch and aggregates. If you’ve been dreaming of a beautifully landscaped property with a water feature or a concrete fire bowl but don’t know where to start or what landscape supplies to buy, it may be time to look into garden and landscape suppliers in your Louisiana area. From retaining walls to raised garden beds, these professional vendors can make your backyard the oasis you’ve been longing for. What’s more, many of these professionals can help you take your ideas from design to installation and provide garden care and yard maintenance according to your Talisheek, LA climate. Here are some related professionals and vendors to complement the work of garden & landscape supplies: Landscape Contractors, General Contractors, Landscape Architects & Landscape Designers. What if you would love to grow your own vegetables but have site limitations? Many garden supply companies offer planters and containers that are up to 42 inches tall. For those who live in colder climates, consider a greenhouse — just the thing to enjoy starting plants or growing exotic blossoms that wouldn’t quite work in your Talisheek, LA climate. Find garden and landscape supplies on Houzz. 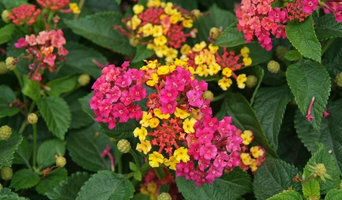 Search the Houzz Professionals section for Talisheek, LA garden and landscape supplies. Browse photos and read reviews. You can also explore full-service Louisiana landscape architects and garden contractors.